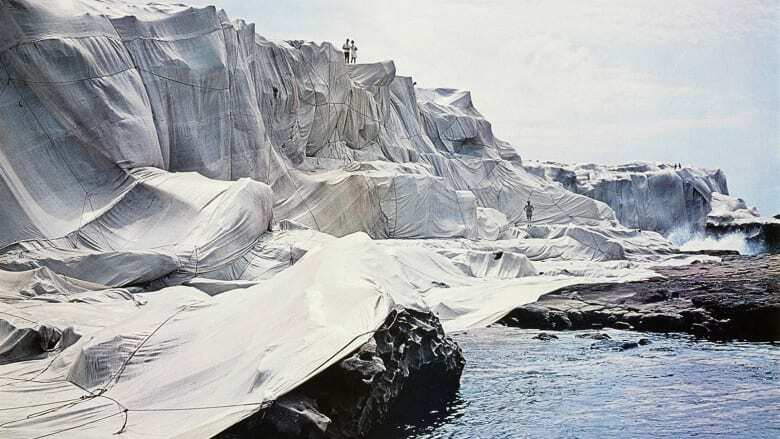 One of Australia’s best known and most infamous public art projects, the 1969 wrapping in fabric of a 2.5km stretch of the coastline at Little Bay, all began with a stale sandwich in a warehouse squat in New York’s SoHo. The participants in this unappetising yet historic meal were art collector and philanthropist John Kaldor and artists Christo and Jean-Claude. Kaldor was interested in their work and had called to invite the pair to exhibit and lecture in Australia. Christo and Jean-Claude weren’t interested in a lecture tour – they had very different and much grander plans. “They said, ‘No, no, no, no. We don’t want to lecture. We don’t want to give an exhibition. We want you to find a piece of coastline to wrap’. 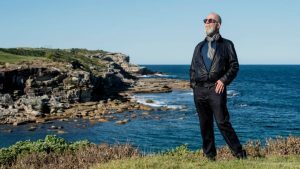 Kaldor, then 33, long-haired and with a thick accent from his native Hungary, returned to Sydney fired with enthusiasm and determined to find a piece of coastline for the project. “I walked into the offices of government, the army, the navy, because they controlled all the foreshores around Sydney. I said, ‘I want to borrow a piece of your coastline’. “And they said, ‘What for, mate?’ And I said, ‘We actually want to wrap it’. Kaldor’s persistence led him finally to Prince Henry Hospital in Little Bay where the then administrator JR Clancy, agreed to “loan” him a stretch of coast for his unusual project. Immediately, the Wrapped Coast project generated huge amounts of publicity and much notoriety. “There were the two extremes: people interested in contemporary art and what’s happening overseas, and they supported us; and then there was the great majority of press, of commentators, who thought that it was absolutely ridiculous,” says Kaldor. However, in the face of all the naysayers and the monumental technical challenges, Wrapped Coast was an enormous success, setting Kaldor on a trajectory that has since seen him bring to Sydney 33 works from some of the world’s greatest contemporary artists, among them Jeff Koons (Puppy) and Marina Abramovic. Wrapped Coast also emboldened Kaldor to leave his employer and set up what was to become a hugely successful fabric manufacturing business. Next year marks the 50th anniversary of that life-changing installation. To mark the occasion, Kaldor Public Art Projects has commissioned British artist Michael Landy to create a retrospective exhibition at the Art Gallery of NSW. Landy is perhaps best know for his 2001 work, Break Down, in which a team of workers systematically destroyed every one of his possessions from his passport to his car. His plan for the retrospective is to represent each of the 33 projects inside a series of massive filing boxes around which visitors can wander. For Kaldor, now 82, the milestone provides the opportunity to reflect on the extraordinary range of projects he has facilitated over the years. Inevitably, he still retains a great fondness for Little Bay, where it all started. “It was a much more adventurous time. Unrestricted,” he says. “You know you couldn’t do it today, it would take years to get permission.